Ashley Lane McDaniel, 32, passed away peacefully Dec. 5, 2018, surrounded by her family in Tullahoma, Tennessee. A celebration of life will be held at 2:00 pm on Tuesday, December 11, 2018 at the Wagram Church of God (Wagram, NC), officiated by Rev. Ricky Brewer and Rev. Ronnie Norton. Burial will follow in Hillside Memorial Park with committal by Rev. Harry Clark. The family will receive friends on Monday, December 10, 2018 from 6:00-9:00 pm at McDougald Funeral Home (Laurinburg, NC) and other times at the residence of her grandmother, Martha McDaniel, 821 W. Covington St., Laurinburg. 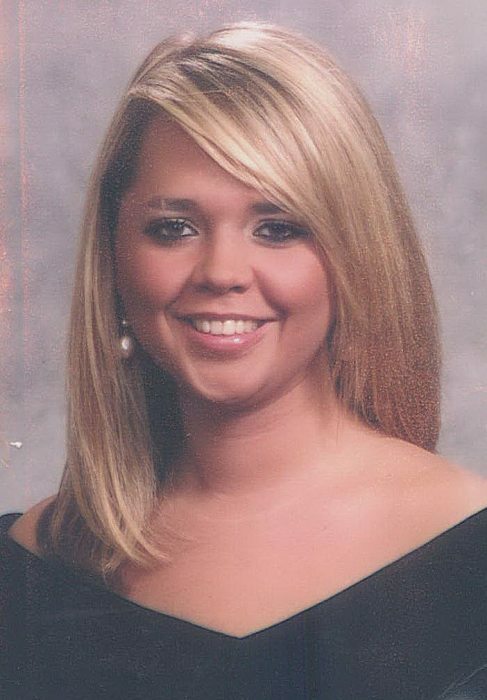 Ashley was born January 23, 1986 in Laurinburg, NC. She was a 2004 graduate of Scotland High School and then proceeded to the UNC-Chapel Hill School of Nursing, where she received her Bachelor of Science in Nursing in 2008. She will be remembered for her infectious personality and smile; a gentle soul who loved people. Ashley loved the mountains and the coast. She enjoyed traveling, cooking, crafts and spending time with her family and friends. She was an avid fan of all UNC Athletics and loved her Dallas Cowboys. There was a special place in her heart for her nieces Brianna and Avery, and her Dachshunds “Tilley” and “Bubba”. Ashley was preceded in death by her grandfathers Curtis Shoemake and Vernon McDaniel; and Uncle Perry Shoemake. Ashley is survived by her parents Thomas and Luann McDaniel of Wagram, NC; brothers Jonathan McDaniel of Cary, NC and Dr. Garrett McDaniel (Kristy) of Laurinburg, NC; grandmothers Barbara Shoemake of Wagram, NC and Martha McDaniel of Laurinburg, NC; uncles Dale McDaniel (Vicky) and Ray McDaniel of Laurinburg, NC; nieces Brianna and Avery McDaniel; and special friend Walker Bryant of Tullahoma, TN.